For many people, learning to fly is somewhere on the Things to do Before I Die. If youve decided its time to pursue your own pilots license, first of all, congratulations! Most people go their entire lives without ever making that first step towards their dreams. Simply making the decision and committing to go through with it is an accomplishment in itself. However, lets not kid ourselves. The reason so many people are reluctant to commit to something like obtaining a pilots license is, well, its not a cheap hobby and its not an easy hobby. You can get yourself a drivers license in one afternoon for eight bucks and a used car for a few hundred (it might be a piece of junk, but itll get you around town). On the other hand, pilot training can cost several thousand dollars, it can take months before youre ready to get your own plane and fly solo, and if you want to fly a three hundred dollar airplane, youd better make sure to pack a parachute. Because of the cost involved, many people consider hobby-flying to be a pursuit for rich people and rich people alone. Luckily, this isnt quite the case. Well get into that in chapters four and ten. Certainly, its not a cheap interest to have, but there are options for the less financially advantaged to pursue the dream, as well. More important than having the money or the time, the most important thing to have when youre pursuing a pilots license is dedication. All the money and free time in the world cant do a thing for a would be pilot who just doesnt care enough to put their all into the process of learning to fly. On the other hand, if you have enough dedication, that can make up for a lack of money and free time. Certainly, money and time can be immensely helpful, but dedication is the deal breaker. As the saying goes, where theres a will, theres a way. Being dedicated will prove more important, in the long run, than the size of your bank account. If youre still not one hundred percent sure youre ready to go after your pilots license, the only advice we can offer is this: Dont waste any more time. There are certain pilots license requirements involving factors such as your health and, of course, mental proficiency. You only get older as time goes by, not younger, and the day when you might not be considered fit to fly is only getting closer and closer. If youre serious about getting a pilots license, start pursuing it as soon as you can. For quick reference, because well be referring to these organizations below, well go through the aviation administrations in all the major English speaking countries. The FAA, or Federal Aviation Administration, is a part of the United States Department of Transportation. The group is in charge of regulating all civil flight in the US, as well as maintaining the air traffic control system put to use within the US. In the United Kingdom, there is the EASA, or the European Aviation Safety Agency. The EASA is an agency of the European Union, and are in charge of all civilian aviation safety within the UK. In Australia, there is the Civil Aviation Safety Authority, or CASA, and Air services Australia. Air safety is handled by CASA, while Air services Australia handles all regulatory functions. CASA is the group in charge of licensing. 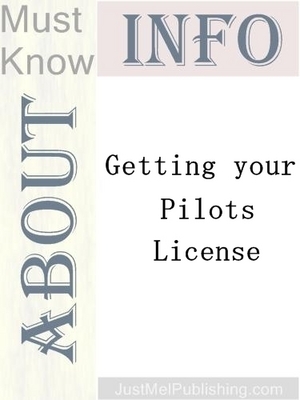 Canadian pilots licensing is governed by Transport Canada, in accordance with the Aeronautics Act, as well as Canadian Aviation Regulations, or CAR. In Canada, licensing or a permit is required for anyone acting as a crew member on any flight. Most of the advice in this book will be applicable regardless of country, and weve done our best to research the requirements for licensing in each country, but we should recommend that you do a little independent research, as well, as these regulations are all subject to change. Please note that this book is only intended as a guide to help you through the process of learning to fly, getting your wings, finding an airplane, and putting that airplane to use. This book is not, and does not claim to be, a comprehensive guide for learning how to fly.